Delay and Disruptive Tolerant Networks (DTNs) is a concept related to environments characterized by very long delay paths and frequent network disruptions. 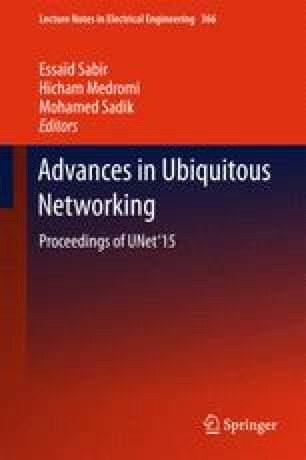 DTN is nowadays a recognized area in networking and communications research, due to its suitability and practical experiences with mobile ad-hoc networks especially in situations where continuous end-to-end paths may not be always guaranteed. In DTNs, nodes store carry and forward messages, called bundles, to other nodes. The forwarding mechanism can occur opportunistically. However, some nodes may show some selfish or malicious behavior, which leads to less cooperation in the network. Thus, one of the main challenges in DTN is to ensure the security and confidentiality within the Network and assure cooperation among nodes. In this paper, we classify some of the threats that have been considered and treated by researchers in the field of DTN, and we propose a new classification based on the degree of cooperation of nodes. We describe different incentive mechanisms used to enhance cooperation among nodes in DTN environment focusing on the strengths of these mechanisms and also their limitations and drawbacks.